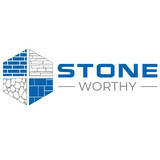 We are a family owned brick & stone masonry contractor. In business for over 20 years, we have been serving the Chicagoland area, and have over 30 years in the masonry industry. We do both new construction and remodeling projects and are happy to work with contractors and homeowners alike. We expertly build a variety of job types: fireplaces, chimneys, pool decks and water features, retaining walls, exterior and interior brick or stone walls, outdoor kitchens and more. It is very important to us to focus on detail, artistic design and the highest quality materials and workmanship. We are eager to partner with clients who are like-minded. Please contact us for any of your future projects! We would love to bring our design expertise to your dream idea. Perma-Structo has been your local family owned and operated concrete contractor since 1965. Our company has specialized in solid concrete foundations for over 50 years. We have a team of devoted and well trained staff and supervisors with 30+ years of experience in the field, ready and excited to start your job any month of the year. We are well equipped with a large fleet of modern equipment, such as dump trucks, cranes, conveyors, pump trucks, and cutting edge state-of-the-art layout system ensuring accuracy. We offer poured concrete foundations and flatwork for new single family and multi-family homes, garages, small commercial buildings, barns, and additions. We are so confident in our work, we stand behind it with a 2 year guarantee. Our guarantee gives our customer peace of mind when choosing us to build their foundation, and raises the bar for ourselves. When you stand behind your work, you simply do better work. Korth Excavating & Concrete LLC. Your happiness is important to us! Our aim is to create satisfied, life-long customers. When you choose Korth Excavating & Concrete for all your excavation and concrete needs, you get the reassurance from knowing we are experienced, licensed, and insured. You'll receive personal service from the time we give you an estimate until the job is completed. Need new concrete? We can help! At Korth Excavating & Concrete we make it easy for you to get that new concrete project done. From pouring new driveways or sidewalks to laying the foundation for a new shed, garage, or patio, you'll get professional service for a great price when you work with us. Add value to your property with concrete work from Korth Excavating & Concrete Get a new driveway, sidewalk, or patio! When you choose to work with us, you'll get the assurance that we'll complete the job in a timely, professional way. If you have any questions about the services we offer or if you're interested in getting a FREE estimate, please get in touch with us. We're always here to offer help and answer questions! Since 1946, Schwake Stone has been Chicago's leading supplier of quality stone products. We specialize in building, landscaping and garden stone, quality fireplace materials, and now offer face brick, thin brick, and brick pavers. We are an elite BELGARD HARDSCAPE dealer with instant access to a multi-million dollar inventory. With over 70 years of proven experience you can feel confidant you're getting only the best in service and materials. Browse our website to see just some of our stone products and discover great indoor and outdoor project ideas. And you're always welcome to visit our Mundelein location for personalized, professional service. Cast Stone is an affordable alternative to cut limestone products. As a valuable source of cast stone, Tri-Stone manufactures a large variety of architectural accents. From historical restoration and decorative masonry to ornamental landscape products, Tri-Stone ensures high quality products at competitive pricing. Over 30 years of practical masonry experience has made Tri-Stone, Inc. stand out in the crowd among manufacturers of both residential and commercial architectural cast stone. Conscientious effort is made to keep mason contractors supplied so jobs are not held up waiting for materials. Replacement parts or additional pieces needed are priority made and shipped. Premiere Concrete Coatings of Illinois, Inc.
Family owned and operated since 2016 ,helping residential and commercial customers specializing in epoxy flooring and decorative concrete. Restoring damaged and old concrete to beautiful , eye catching , exciting new look. We offer solution for patios, walkways, basements and our speciality- garage floors. Bella Construction is a family owned and operated company based out of Fort Atkinson, WI that provides residential and light commercial masonry contracting services to all of s Southern Wisconsin. Bella Construction specializes in all phases of masonry including new construction, remodeling and the preservation of historic masonry structures. 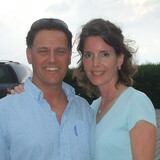 Owner, Mike Mckelvey, founded Bella Construction on the principles of honesty, integrity and superior craftsmanship. Mike is committed to meeting your project needs by personally ensuring that work is completed on time and with in a defined budget. In our line of work, attention to detail is critical. therefore at Bella Construction we pride ourselves in effectively communicating with general contractors and home or business owners to ensure that their vision and foresight is reflected in our work. It is our goal to exceed customer expectations by providing superior craftsmanship using time tested techniques as well as the latest masonry innovation and technologies. From installing new exterior columns to repairing your chimney, masonry contractors can help you add both visual appeal and value to your property. They’ll know what kind of installation makes the most sense for your Muskego, WI climate and regional style. Looking for something that will develop a patina with time? Or would you rather have your home feel brand new for years to come? Choosing the right kind of stone involves thinking about the future, too. Experienced brick suppliers and stone suppliers can help you find the material that will work for your home now and for years to come. These professionals aren’t limited to exterior work either. Whether you want a split-stone granite wall in the kitchen or need help installing traditional brick masonry on your fireplace facade, you’ll want a professional to get it right. If you’re already working with an architect or designer, he or she may be able to suggest a good Muskego, WI subcontractor to help out. Here are some related professionals and vendors to complement the work of stone, pavers & concrete: Landscape Architects & Landscape Designers, Architects & Building Designers, Garden & Landscape Supplies, Driveways & Paving, Siding & Exteriors. Find stone, paver and concrete professionals on Houzz. 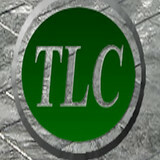 Search the Houzz Professionals section for Muskego, WI stone, paver and concrete professionals. Browse photos and read reviews, and contact a pro if you like their work.